Vital hotkey changes: RMB is move, MMB is Rotate. Scrollwheel is Zoom. Ctrl + MMB is Zoom. Q is borderzoom. Translate, Rotate and Scale are now mapped to W E and R instead of G R and S. Extrude is now S, since the E key is occupied by the new navigation keys. Click Extrude for Bone extrude is remapped from Ctrl Action Mouse to Ctrl Select Mouse. Which is LMB now. Easier to handle. Circle Select is now G. I needed to remap it since Y, X and C are used to switch between the mesh select modes. 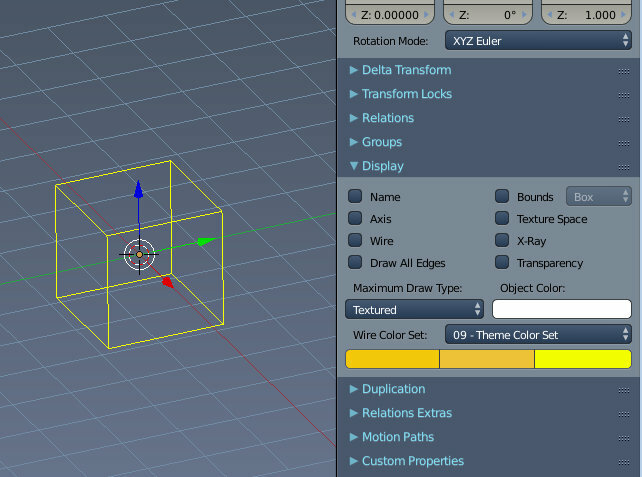 You can of course simply switch to the Blender keymap, and continue as in Blender. But note that the one or another hotkey might throw an error now since i did some first changes at the C code. You cannot make a keymap without fixing the quirks first. So connected to the new keymap lots of hotkey only tools became a new menu entry. I found some real jewels here that i have never seen before. Somebody an idea what the so called debug menu is good for? At the same time lots of double menu entries were removed. Some very same menu entries were at two or even three different menu locations available. And i didn't even count the pie menus here. No wonder the graphical UI looks this cluttered when the same UI element exists in several locations. Delete does in most cases exactly that now. Deleting what is selected. Without playing a quiz or to ask for delete permission. Only the delete quiz in edit mode is still there. Six items remains where i haven't found a good solution yet. 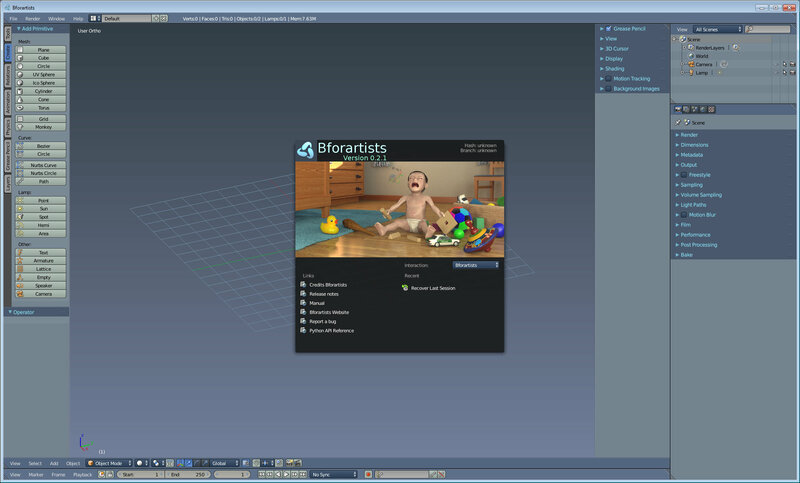 The dissolve operations have their place in the tool shelf in the tools section now. Furthermore, the 3d Cursor is hidable and lockable now. We have custom wireframe colours. Thanks goes to fjuhec here. 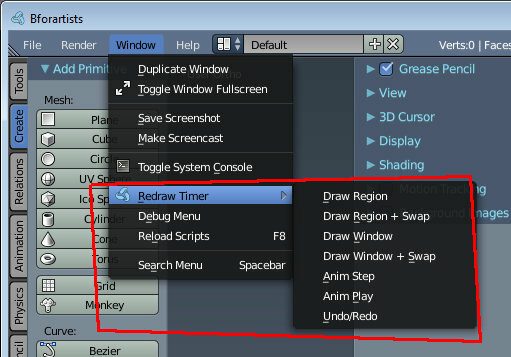 The little 3D Editor Type menu in every menu bar is hidable now, and by default already hidden in every editor view. It's not the users job to redo the layout all the time. 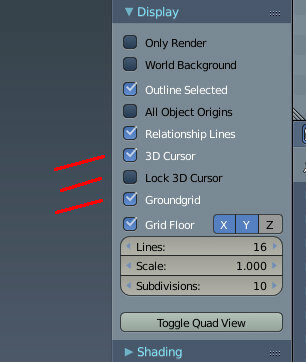 This one is of special interest for the outliner and the Properties editor, where every pixel more is an issue. The groundgrid can be hidden at once now. This includes the orthographic views, where you couldn't hide the grid at all until now. Removed a few "do you really want to ... " nagscreens. The video editing layout is removed. 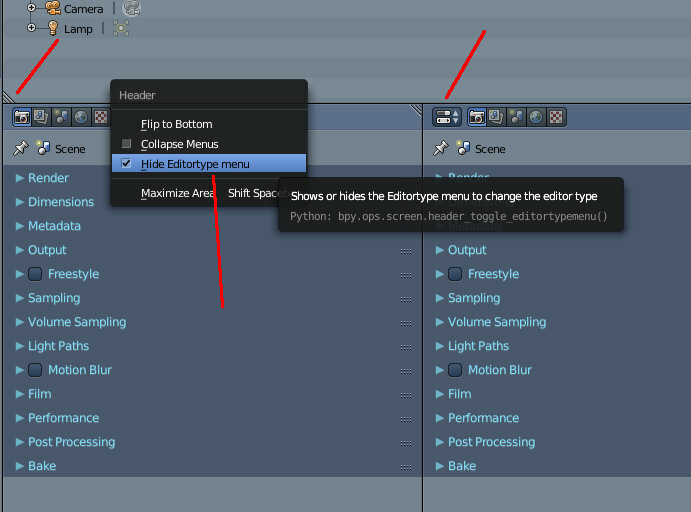 The module itself is still available though in the Editor Type menu. But marked as legacy. Last but not least there were some minor tweaks like changed tooltips ( which is another can of worms that needs deeper investigation) , or that Lock Camera to view is enabled by default. And a few new introduced bugs were fixed. And that was it for now. We made another important step at the roadmap. The short time goals are more or less fulfilled with this release. Now comes the longer term development goals. As the name says, they migth last a bit longer, since those tasks cannot be done within a few hours. Show / Hide the editor type menu. Left side hidden, right side shown. A few of the menu items that were formerly just available by hotkeys.